The goal of this academic publication is to inform and educate physicians and their staff about spine care and neurosurgery. Welcome. This is the first issue of the Texas Spine and Neurosurgery Journal. Our goal is to aid and inform family doctors and community providers as well as their staff. We want to help practitioners treat their patients with spine and neurosurgery issues. If you know of someone who might benefit from a subscription, or if you have a question or topic for review, please contact us at info@txspineonline.com. The territory for the Journal continues to grow, but presently extends from Dallas to the Gulf coast and from Gatesville to Palestine. Trigeminal Neuralgia is an idiopathic facial pain that is relatively rare but can be extremely debilitating. The pain is very distinct from other types of facial pain. Trigeminal neuralgia pain is intermittent in nature and is usually described as an electrical sensation. The patient can trigger the pain by talking, brushing teeth or touching their face. The pain usually comes on as intermittent attacks for a few minutes and then subsides. Often, especially early on, the pain will go into remission and the patient may go months without another attack. These features distinguish trigeminal neuralgia from other, more common causes of facial pain such as dental pain and traumatic nerve injuries. These types of facial pains are usually constant and burning. Trigeminal neuralgia is thought to be caused by vascular compression of the trigeminal nerve. The blood vessel most commonly involved is the superior cerebellar artery. The pulsations of the artery against the nerve are thought to demyelinate the nerve allowing a short circuit between light touch and pain fibers. The initial management of a patient with suspected trigeminal neuralgia includes obtaining an MRI scan of the brain to rule out brain tumor or vascular malformation. Vascular compression of the nerve can also be seen in some cases, however, neither the sensitivity nor sensitivity of the MRI for vascular compression is very high. Once other intracranial pathology has been ruled out by MRI, patients can be started on Carbamazepine or gabapentin. Carbamazepine 200 mg orally, three times a day seems to be effective early on in most patients. The dose is usually started once a day and then increased slowly over three weeks. If initial medical management fails. Patients can be referred to a neurologist for additional attempts at medial therapy. There are also surgical treatments for trigeminal neuralgia, including stereotactic radiation, rhizotomy and open microvascular decompression of the nerve to remove the vascular compression. Each procedure has its own risks and benefits. Patients who have poor pain control with medical therapy or who cannot tolerated the medication should be referred to a neurosurgeon with expertise in trigeminal neuralgia for consultation. Early neurosurgical referral to create a surgical contingency plan if medical therapy fails can provide great comfort to the patients who are often fearful the pain will return while on medical therapy. Perioperative Warfarin Management?To bleed or not to bleed? That is the question. Whether ’tis better to risk hemorrhage or thrombosis…no one knows for sure. Even the College of Chest Physicians, which published the latest anticoagulation guidelines in 2012 (CHEST 2012), says there are no definitive answers to perioperative anticoagulation management, known as “bridging” the stop to the start of the patient’s anti-thrombotic therapy with heparin or a LMWH while the INR is considered sub-therapeutic. For brevity, this review will focus on bridging warfarin anticoagulation with enoxaparin therapy. With the push toward the new oral anticoagulants (NOACs), warfarin gets a bad rep, but reality is that the cost of NOACs and the mountains of data from years of warfarin use still keep its therapeutic value alive. An obvious question: why not bridge with a NOAC? Fast-onset, fast washout, little monitoring needed…but still considered too risky. For now, NOACs are not recommended in CHEST 2012 for bridging therapy. Post-marketing data on the single approved NOAC reversal agent idalucizumab for dabigatran and trial data for andexanet alfa may change this scenario soon, but at this time only injectable agents are recommended, with enoxaparin (and dalteparin) most commonly used in clinical practice. The patient’s thromboembolic risk: High, Medium, or Low. The procedure’s bleeding risk: High, Medium, or Low. The who and how of the regimen. if Mechanical Valve: Which Type? Any Problems? Is it an old-style aortic valve prosthesis, or a mitral valve prosthesis? if VTE/PE: When? Any Problems? Single VTE within the past 3-12 months, recurrent VTE, active cancer treated within 6 months, or non-severe thrombophilia such as heterozygous Factor V Leiden. a bileaflet aortic valve prosthesis without AFib or other risk factors for stroke. A single VTE > 12 months ago, and no other risk factors. High risk: Surgeries with duration > 1 hr, major abdominal procedures, kidney/breast/lung biopsy, total joint replacement, radical prostatectomy, heart valve replacement, and neurosurgery. These will be dosed with enoxaparin 40 mg/day post-procedure, starting after hemostasis, usually within 24-48 hours. Medium risk: Procedures not included in high or low risk categories. Post-procedural enoxaparin is often ordered for 1.5 mg/kg/day beginning 48 hours post-op. These surgeries can be elevated to high risk, and/or post-procedure enoxaparin regimen adjusted in between low or high risk levels, at professional discretion. Low risk procedures can often allow continuous anticoagulation. These include dental, cataract, endoscopy without polypectomy, joint injections, or minor dermatological work. If anticoagulation interruption is deemed necessary, enoxaparin may be begun at 1.5 mg/kg/day, beginning 24 hours post-procedure. Medium and High-risk are often combined in hospital surgical protocols, since there are no clear-cut CHEST 2012 guidelines for moderate risk procedures. Begin enoxaparin therapy at 1.5 mg/kg/day once the INR has dipped below threshold of 2.5 or 2.0, depending on the indication. 24 hr pre-procedure, dose enoxaparin 0.75 mg/kg x 1. Post-procedure, resume warfarin that evening at patient’s usual dose, and enoxaparin 40 mg/day once hemostasis has occurred. Continue enoxaparin 40 mg/day with warfarin until the INR is within therapeutic range for 2 consecutive days. The who and how of the regimen is the last but most important of the entire assessment. Patients may not ask enough questions about instructions, so it falls to the provider to ensure that the bridging regimen can be followed. Who is capable of and therefore will be administering the injections, if not the patient themselves? How will the patient will be able to pay for the enoxaparin itself? A price check at one Texas Walmart showed the cost of a 40mg syringe at $11, a 60mg syringe about $30, and other strengths priced even higher. A Medicare patient in the doughnut hole may not be able to afford that, and might not say so, with possible disastrous results. The physician should therefore ask pointed questions beforehand about the patient’s insurance coverage and caregiver support. It would be good practice to also have office staff follow up with the patient’s pharmacy to ensure that the enoxaparin has been picked up, and with the patient/caregiver at home to make sure they have begun administration by the third day pre-procedure. Perioperative warfarin management is fraught with risk. Current guidelines, while just that—guidelines, can be used to assist in pre-and post-procedure orders and decrease the liability of the individual practitioner. They are, however, no substitute for careful clinical consideration of patient’s PMH and comorbidities. Professional judgment can and should factor in all preparation surrounding an upcoming procedure to yield the best outcome for the patient. Jenessa Burney gratefully acknowledges the lecture notes of “Perioperative Management of Warfarin Interruption”, prepared by Victoria Lambert, PharmD, CACP, William Backus Hospital, University of Connecticut, 2015. “CHEST 2012”: Evidence-Based Management of Anticoagulant Therapy: American College of Chest Physicians Evidence-Based Clinical Practice Guidelines. Chest. 2012,141(2_suppl):e152-e284S. CHADS2: A point-value score to estimate stroke risk in patients with atrial fibrillation. One point is given for CHF, Hypertension, Age>75, Diabetes, and two points for either history of Stroke or TIA. Originally published in Gage BF, et al.Validation of clinical classification schemes for predicting stroke: results from the National Registry of Atrial Fibrillation. JAMA. 2001 Jun 13. 285(22):2864-70. Diet is responsible for forming cells in the body that have a direct correlation with progress after surgical intervention. Adequate nutrition is important to promote healing, particularly for spinal surgery where bony fusion is desired. A proper diet including particular vitamins and minerals can help promote the body’s natural ability to create bony fusion around instrumentation to stabilize the spine in addition to increase current bony mass. Vitamin D and Calcium Carbonate combined are shown to slow down and in certain cases reverse osteoporosis which indicates stimulation of proper bone growth. Calcium is required to stimulate bone growth which requires Vitamin D for Calcium absorption and use. Vitamin D can be absorbed by the body two ways, one through direct sunlight and the other through diet. With increased age and higher melatonin count in the skin, the human body’s ability to absorb Vitamin D from direct sunlight decreases where diet becomes more prevalent. A high Vitamin D diet includes foods similar to eggs, butter, fatty fish, orange juice, and fortified foods as well as supplementation. For supplementation, a recommendation could be 1,000 mg Calcium Carbonate combined with 5,000 IU Vitamin D taken daily. Adequate nutrition is likewise vital for efficient wound healing. Protein, Vitamin C, Vitamin A, Zinc, and appropriate blood sugar levels are most effective to provide the body with the necessary requirements to heal. Proper protein sources include meats, eggs, milk, beans, tofu, and soy products. Vitamin C is found in citrus fruits, tomatoes, peppers, and greens including but not limited to spinach, broccoli, brussel sprouts, and cabbage. Vitamin A is found in dark green leafy vegetables, liver, fortified dairy and cereal products, and orange and yellow vegetables. Zinc is found in red meats, seafood, and fortified cereals. If your patient has diabetes, it is important to closely monitor their blood sugar levels to decrease infection rates, longer hospital stays, and additional admits to the hospital. Specifically a high protein diet has been shown to decrease wounds and bed sores, and promote correct wound healing. Recommendations indicate to eat at minimum of 2-3 servings of protein a day or supplement with protein shakes if the patient has a low appetite or cannot chew. Adequate nutrition provides the human body with the necessary building blocks to form the crucial cells for bone growth and promote healing for a faster and more effective recovery. 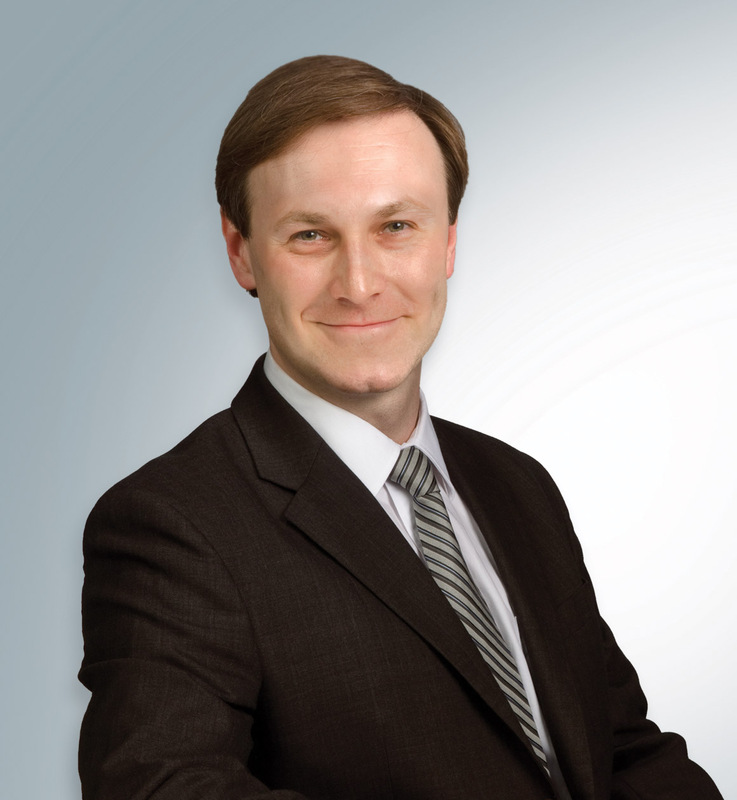 The “Texas Spine & Neurosurgery Journal” was founded by Dr. Steven Zielinski, a Stanford trained neurosurgeon who believes in giving patients the freedom to control their own healthcare, in partnership with their chosen physician. Texas Spine and Neurosurgery is a patient centered practice that brings first class spine care to local communities and to patients. Texas Spine and Neurosurgery started as a small collaboration with local hospitals and local providers and has grown over several years. Today, we have relationships with a vast array of outstanding hospitals and surgical centers. We coordinate care with the best specialists in different aspects of conservative care throughout Texas. 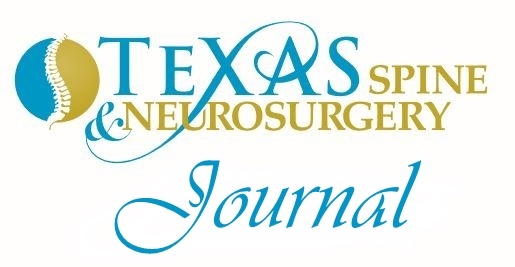 In order to continue these efforts Texas Spine and Neurosurgery is a proud sponsor of the Texas Spine and Neurosurgery Journal. It’s focus is to educate and inform community physicians and family doctors in Texas and beyond about relevant topics in spine and neurosurgery. If you have questions or comments or wish to contact or refer a patient to Texas Spine and Neurosurgery or one of our Physician contributors please contact us. www.txspineonline.comFor back issues of the journal please see our web page. Copyright © *|2016 Texas Spine and Neurosurgery, All rights reserved. are the property of Steven Zielinski MD PA, DBA Texas Spine and Neurosurgery. All articles reflect the opinions of the individual authors and are not independently verified for accuracy. The Journal provides no recommendation for therapy of any individual patient but tries to promote the academic discussion of the topics covered.